Snap hook with a long pull loop in climber-quality for 5 more new and advanced exercises. The Iso-hook loop extends the standard pull loops of Isokinators. As a result, there are many new ways of training. Officially tested and authorized by Koelbel Training Research are at first 5 special exercises. Features: extends the standard pull loops of the Isokinator. As a result, there are many new ways of training. 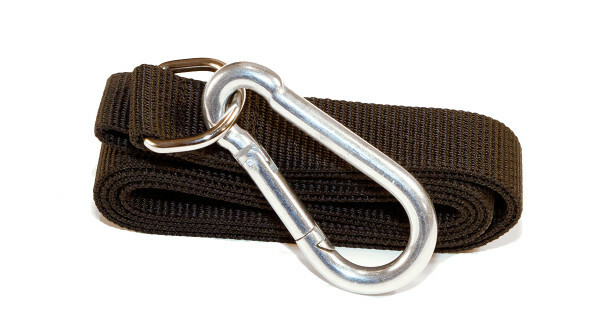 Info: "Isokinator Iso-Hook extra strap"
Related links to "Isokinator Iso-Hook extra strap"
Customer evaluation for "Isokinator Iso-Hook extra strap"